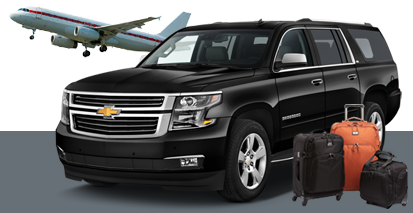 Modern Limo Service offers the most reliable Van Nuys Airport car service consisting of an entire fleet of affordable rates. No other form of transportation can provide such trustworthy, professional and sophisticated car service. When you reserve one of our luxury vehicles, you can be sure that you’ll be greeted on time by one of our experienced chauffeurs in a sleek black car that will whisk you away to your desired destination. Let us deal with the San Fernando Valley traffic while you relax in the backseat of one of our luxury vehicles and enjoy your Van Nuys Airport transportation experience. From our luxury vehicles to our professional service and experienced drivers, Modern Limo Service provides a wonderful transportation experience like no other. We make ground transportation look and feel effortless. We believe early is on time. We understand the importance of time when traveling. Your professional chauffeur will always be punctual when picking you up from your home or the airport, ensuring that you arrive on time to your next destination. Depending on your drop off location, sometimes other forms of transportation can cost more than a luxury car service even though a Van Nuys Airport car service provides an overall better transportation experience. Contact us to learn more about our affordable rates. Modern Limo Service has brand new, well taken care of luxury cars available for our customers to choose from, including luxury town cars, luxury sedans and luxury SUVs which are great for large groups. Just let us know the number of travelers and we’ll get you the best car.